Our Facebook page is where you’ll find the latest news about both the charity and research into ICP. For support on Facebook, please visit one of the groups described below. 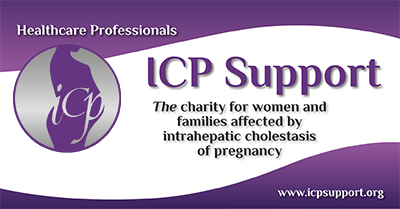 ICP Support runs various support forums on Facebook. Posts are monitored by a team of volunteer moderators, but any member of an individual group can post and comment. We strongly recommend that you read the information at About ICP before asking a question, as there is a very good chance that you will find the answer to your question there. In order to join some of our groups, you may have to answer a couple of questions to ensure that you are joining a group that is appropriate for you. Please ensure that you answer both questions! ICP Support’s main Facebook support group is a worldwide open group, which means that anyone who visits the group (whether or not they are a member of the group) can see your posts. Join this group if you are happy to discuss ICP in public. You’re welcome to join at any time. If you need more privacy, you should consider joining our private Facebook group. This is an open group (see above) for people living in Australia and New Zealand. Precious Memories is a closed group for those of you who have been affected by the death of an ICP baby. Posts in this group can only be seen by members of the group. ICP Support – Private Group is a closed group for those who require a degree of privacy. Posts in this group can only be seen by members of the group. 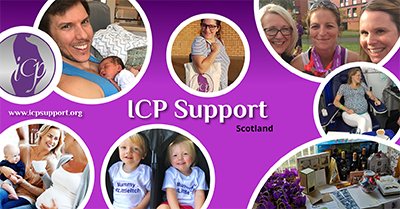 ICP Support – Postnatal Group is a closed group for those who have had their baby but need a little extra support because they are finding life harder than expected. Posts in this group can only be seen by members of the group. This group is for healthcare professionals who want to learn more about ICP. We do not give medical advice but we can provide you with the most up-to-date information there is regarding diagnosis, treatment and management of ICP, as some of us work in research into the condition. We have several regional groups, currently run as pilot projects. These groups are not intended to replace the open and private groups, which you should continue to use to ask questions about ICP or to get support. The regional groups are more like informal community groups where you can meet others who may live in your area for a ‘virtual’ cake, coffee and chat. We will also use these groups to update you about any ICP-related events that may be taking place in your area or to advertise fundraising events more local to you. We hope to have the whole UK covered by October 2018. We offer telephone and email support for those who don’t use Facebook. Our old forums on Google Groups have been closed. The views expressed on our Facebook groups are not necessarily endorsed by ICP Support, but we aim to be non-judgmental, respecting that everyone’s experience will be unique to them. If you are posting a reply to someone it may help you to think about the impact your words may have on them before posting. We reserve the right to remove or not post a message if we believe that the content isn’t appropriate for a public forum. This is not an easy decision to make as we believe that everyone has the right to be heard. However, we also have to consider what is in the best interests of our members and very occasionally a message will come through that may be particularly upsetting for other people to read. We will always contact the person who is posting to offer them support. We reserve the right to remove users from any of our groups if their presence in the group is inappropriate. If you have any concerns about anything that has been written you can email Jenny Chambers directly (jennychambers@icpsupport.org) and let her know so that we can support you.